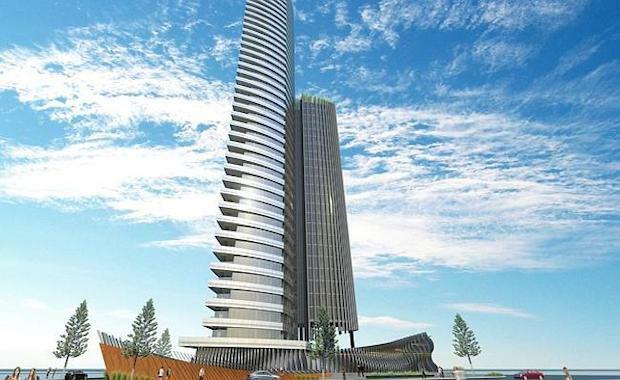 A former Red Rooster site on the corner of Surfers Paradise Boulevard and Main Beach Parade will be home to the first residential highrise to be constructed in Surfers Paradise in two years. Ho Bee Land, the currently unnamed project will be the company's first Australian project. Brookfield Multiplex has been awarded the contract to deliver the $120 million, 41 storey residential high rise building comprising 223 units, a roof-top garden, a gym and retail space. The project will bring over 500 jobs during construction and 250 workers onsite during peak season. Brookfield Multiplex Regional Managing Director for Queensland, Rod McDonald, said the project would deliver important economic benefits and would help meet the increasing demand for residential property on the Gold Coast. “Queensland’s residential market is gaining pace and it’s fantastic to be back on the Gold Coast and delivering this project which will see cranes returned to the Surfers Paradise skyline for the first time in two years,” Mr McDonald said. “Ho Bee Land’s unique building will revitalise the Gold Coast’s residential property market by providing new, high quality apartments that meet the highest standards of sustainability and design. “Brookfield Multiplex has a long and successful track record on the coast, having delivered a number of new major residential and commercial developments over recent years, including the Hilton Surfers Paradise, the Wave at Broadbeach, the Gold Coast Convention and Exhibition Centre, and Pivotal Point Tower at Southport. “We look forward to working with Ho Bee Land and the project architect, DBI Design, as well as local stakeholders and the community, as we deliver this building,” he said. Construction is due to be completed by late 2015.